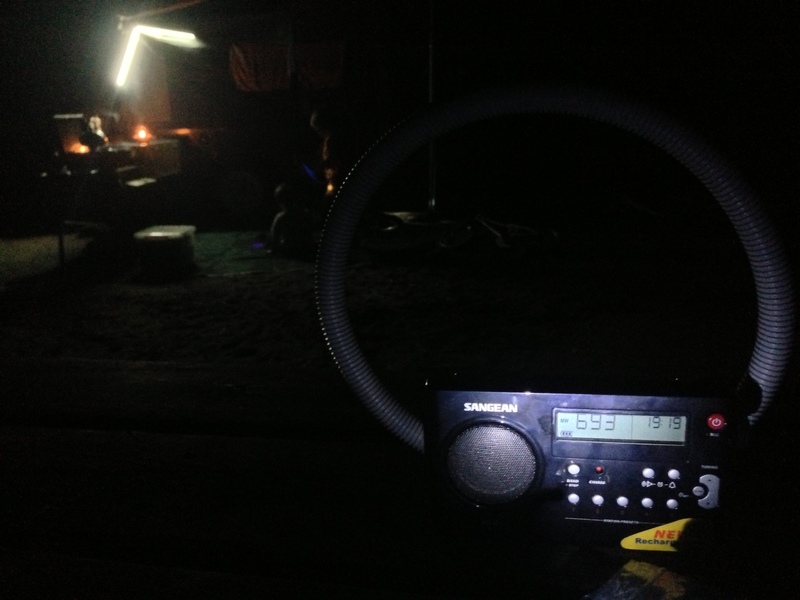 I enjoy getting out into the Australian outback, but i like to keep connected to the going’s on of the world via AM broadcast band radio when I’m travelling, listing to the morning news helps keep me connected. 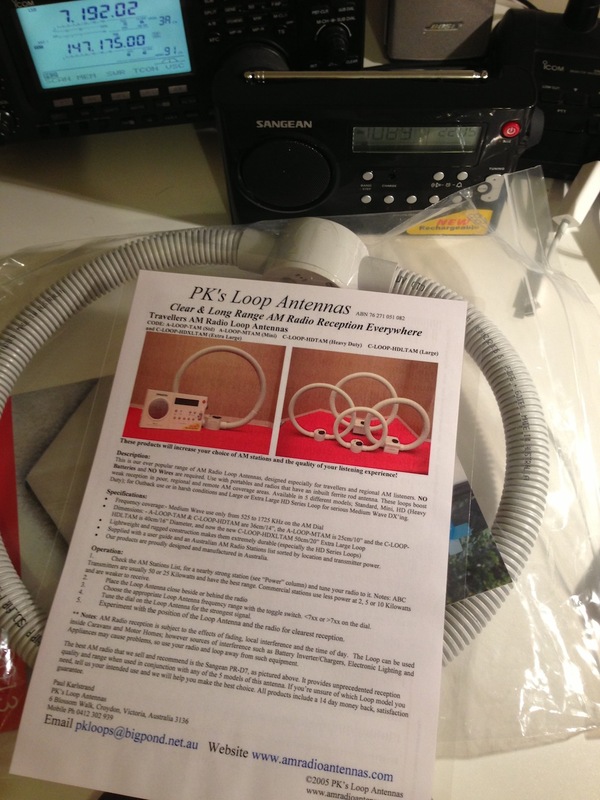 I recently upgraded my camper trailer AM Broadcast band radio to a very capable Sangean PR-D7 am/fm radio from Paul at PK’s loop antennas. This unit has digital tuning and allows direct 12v power input, and rechargeable battery support, with good/loud audio, it’s a nice unit. The Sangean unit works well, and has been fine so far with reception where we have gone camping near Melbourne, but with noisy solar regulators and noisy 12v fridges at the busy camp areas, and with my impending bigger trip to the outback, I wanted to help this little radio along with reception. 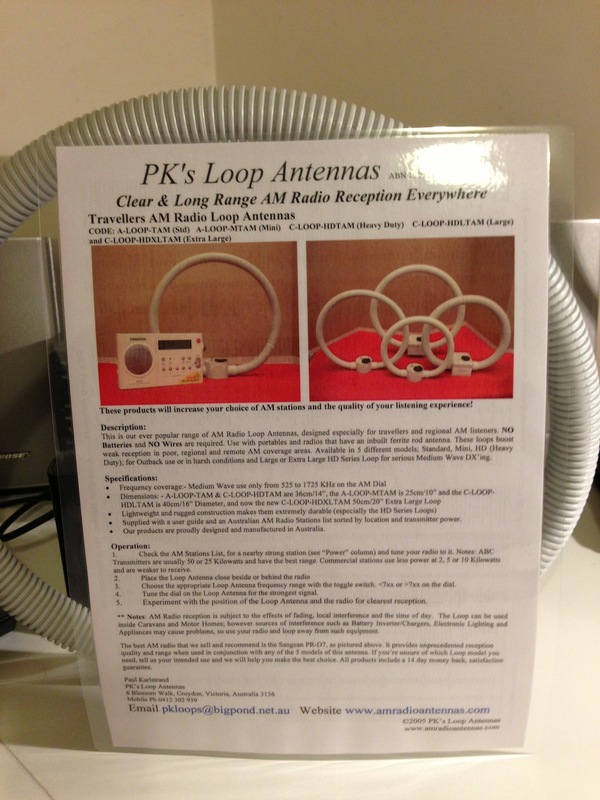 Paul is a regular at the local hamfest’s in Melbourne, he is VK3KHZ, and the camper trailer/4wd forums have people rave about the performance enhancement these loop antennas provide. So i ordered one and it arrived quickly through the mail. The unit arrived in a padded bag, inside was the loop, with a laminated instruction sheet / tuning guide which was a very nice touch. 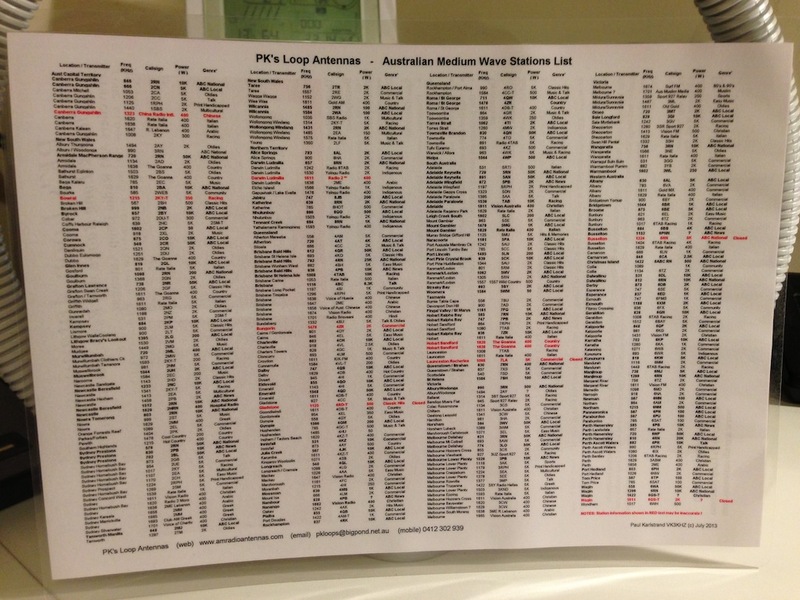 Its handy to have a list of stations nationally to help steer you to where you should try when you are touring. The unit is passive, no batteries required. 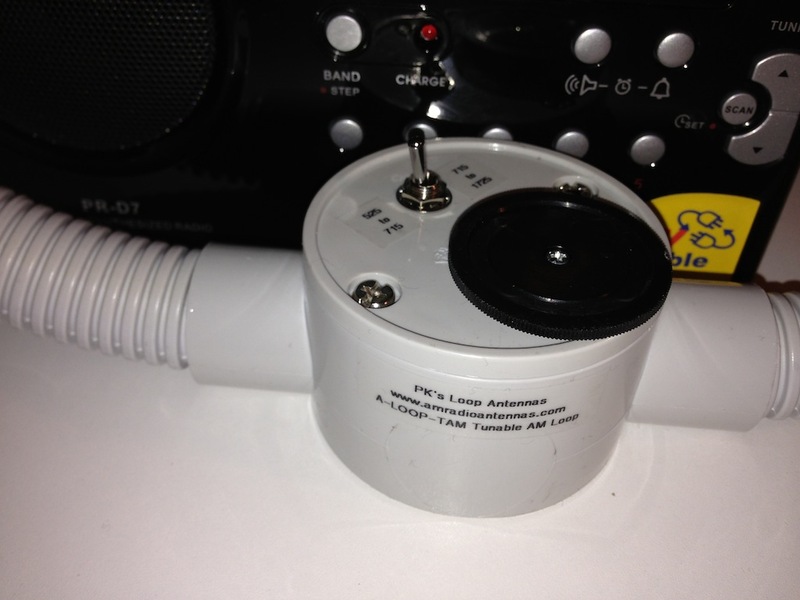 It has a tuning box, with a high and low band switch, a tuning dial and some plastic conduit that will contain the antenna loop wire. Simply place the loop near the radio set the switch to the right band (high or low) and adjust the dial to peak the reception on your desired frequency. The radio and loop are somewhat directional, by moving both units around a little and playing with the tuning dial, you can optimise the performance and really lift the reception, as seen in the video below. I was able to tune in ABC Sydney from Melbourne. 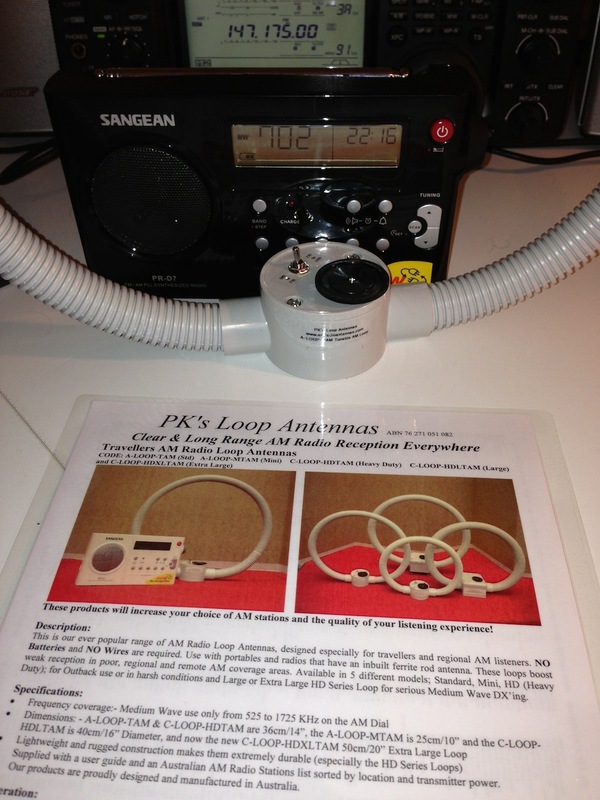 The antenna works a treat from home (with all its noise) I cant wait to head bush next, but stay connected to the outside world with this nifty loop antenna and my Sangean radio. Thanks Paul. Paul has a shop on eBay, or you can purchase items directly via his website. 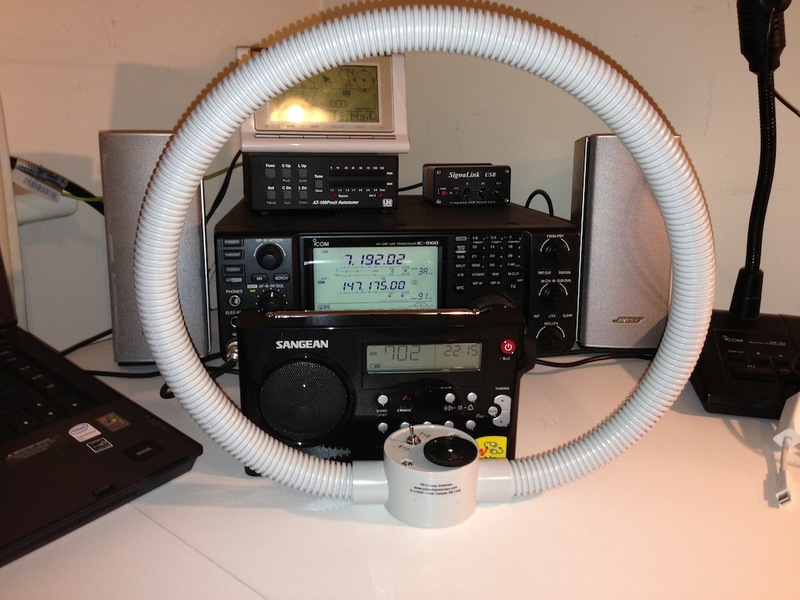 Go have a look at some of his radios and antennas. 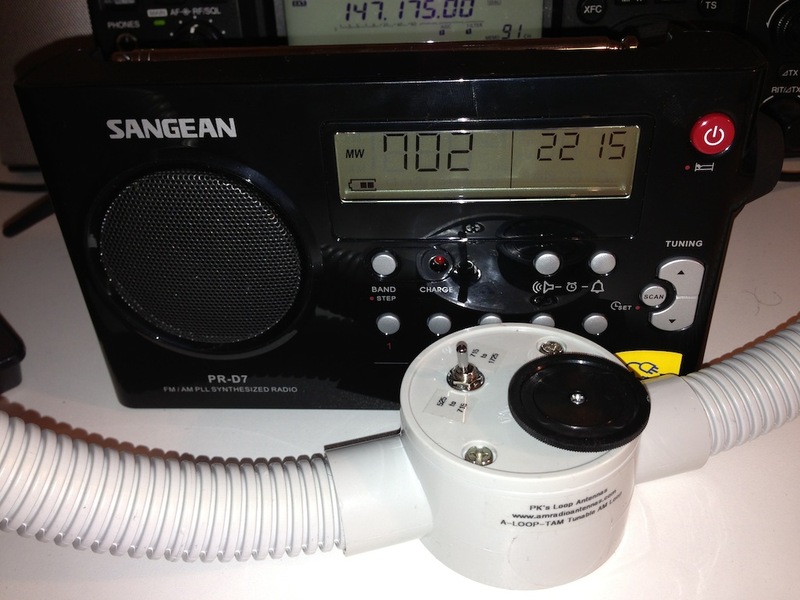 And finally, the quick video with the Sangean PR-D7 tuned to ABC 702 kHz local radio from Sydney, received in my study in Melbourne using the loop. To show how well it works. ** and an update, we went for our trip into the SA outback a couple of weeks ago, and the loop worked a treat, I had great MW am coverage while camping and was able to listen to the election night coverage while away!. thanks Paul!. ← TV Tuner SDR on a Mac!